I’ve almost always got the mini sweet peppers on hand! They have become a refrigerator staple and we eat as many raw as we do cooked. It’s one of the vegetables I can easily get Bill to eat so I buy them at Costco in the large bag. They are far more cost effective than paying for the individual varieties at the grocery store. 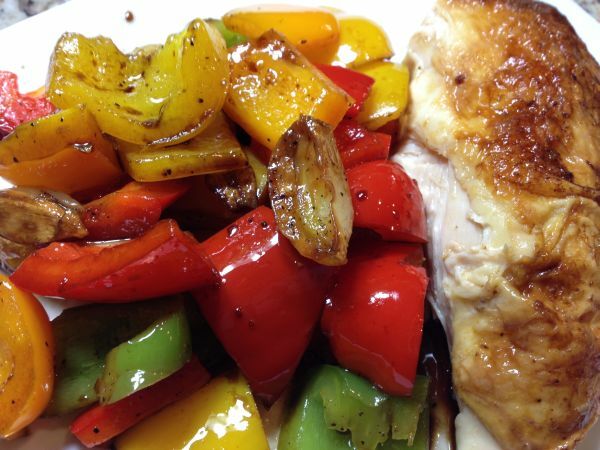 The red, yellow and orange and much sweeter than green bell peppers and roasting them caramelizes the sugars and intensifies the flavor. When roasting, we like a bit of the green to add punch. 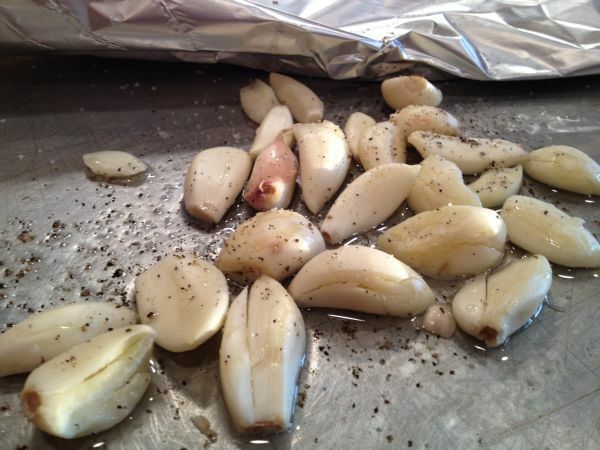 I usually combine peppers and onions, but this day I decided to try some garlic in the mix for a change. It was a great! 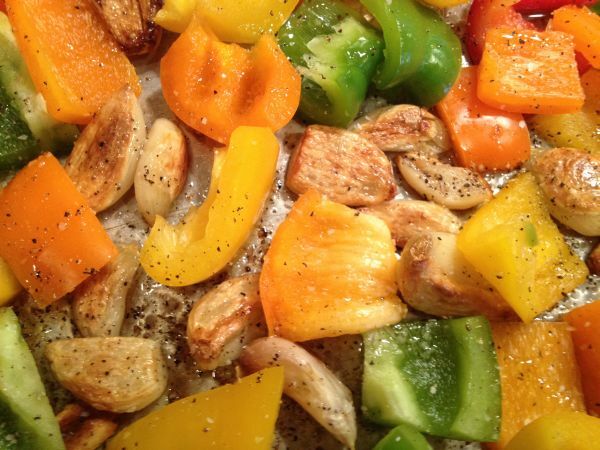 This is such a simple side dish that anyone can easily make. The peppers will keep in an air tight container for at least a week refrigerated, although we usually eat them up long before that! Preheat oven to 400 degrees. Wash peppers and remove cores and stems. 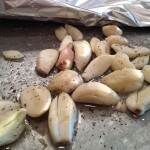 Peel garlic and place onto cooking sheet. 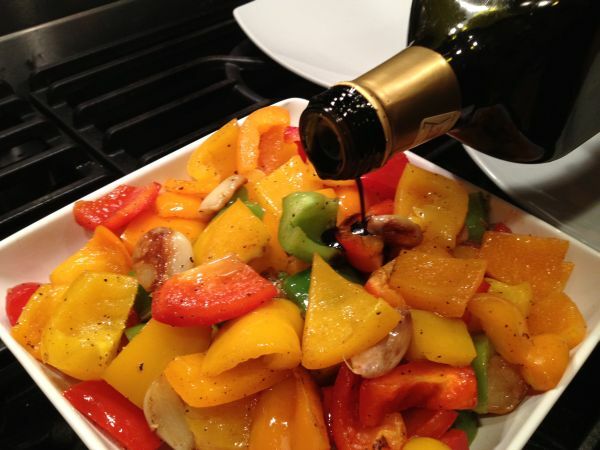 Sprinkle with oil, salt & pepper. 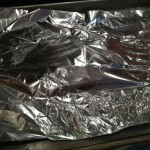 Cover with foil and bake for about 20 minutes. 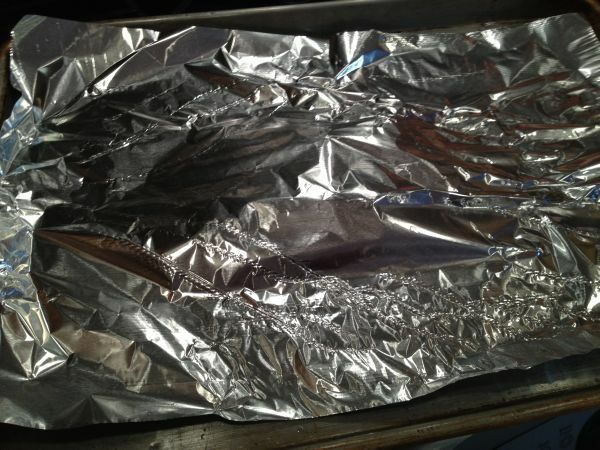 Remove the foil and turn the garlic. 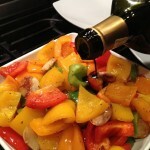 Stir and add the chopped peppers that have been coated in oil and return to oven. Season with additional salt & pepper and cook for an additional 20 to 30 minutes turning occasionally until they are the texture you prefer. We like ours al dente! 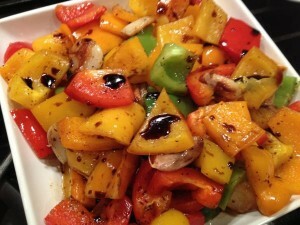 Drizzle with a bit of Balsamic!